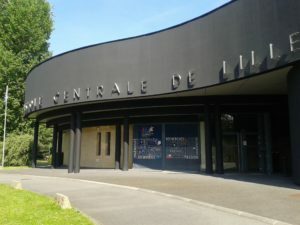 The ACE Workshop 2019 will be held at the Centrale Lille which is located in center of the University Campus of Lille 1. Located in the campus of Lille University of Science and Technology in France, École Centrale de Lille is a renowned Graduate Engineering school, with roots back to 1854 as the École des arts industriels et des mines de Lille, re-organised in 1872 as Institut industriel du Nord. It is one of the Centrale Graduate Schools. Academic activities and industrial applied research are performed mainly in French and English languages. Students from a dozen of nationalities participate to the different curricula at École Centrale de Lille.